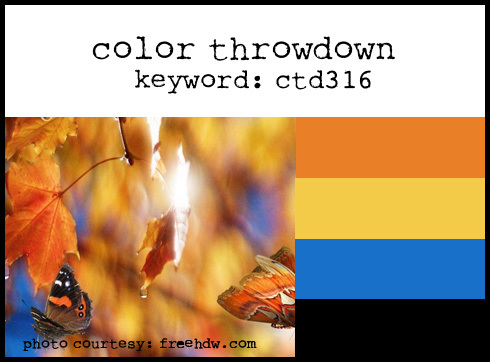 The Color Throwdown challenge for the week started yesterday. I usually post the very day it begins, but I was away from home all day yesterday and couldn't make my card. So here is the one I finally made today. Don't you just love how cheerful this card is? Here is a look at this week's colors. I think this is one of my favorite palettes so far. I hope you will play along with this week's challenge. You have plenty of time to make something fun. And remember, you don't have to have the exact colors. They always tell us to just use the closest match you have. So have fun and get to creating! What a fun card Susie. 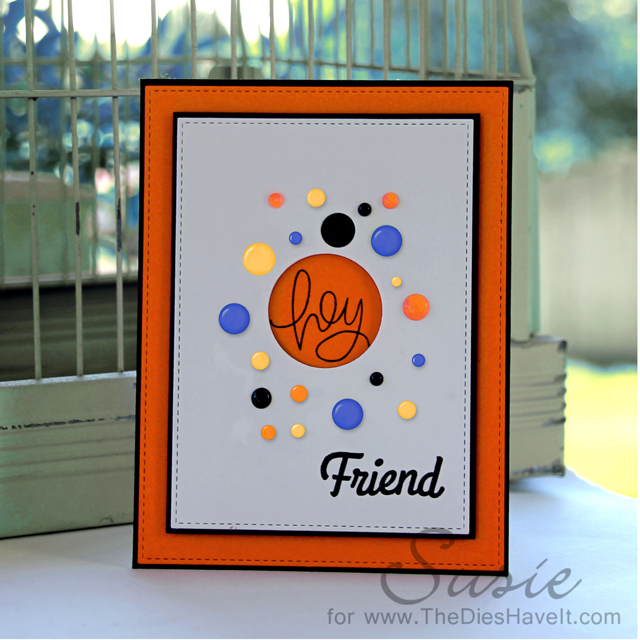 Love the vibrant dots around the circle greeting. Thank you for playing with us at The Color Throwdown this week.